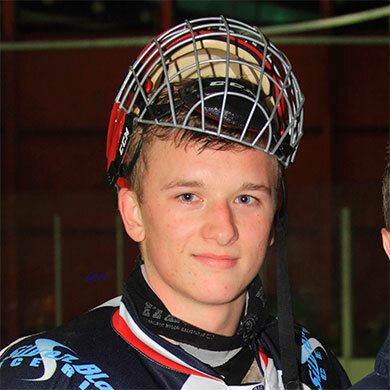 Charlie Phillips moves to the Dynamos following his first year in senior hockey with the London Raiders – a campaign in which he firmly announced his arrival in the NIHL South’s top tier. The young defenceman impressed during his 24 league outings for the Lee Valley based outfit whilst also netting twice, including one at the Silver Blades Gillingham, and chipping in with 4 assists. Furthermore, despite his young age, the blue liner was far from intimidated by the step up to the NIHL South Division 1 – a move he made following a standout season with the juniors in 2012/13. Phillips managed 21 goals and 16 assists whilst representing the Romford Hornets at under 16s level whilst a further 16 strikes and 18 assists came with the under 18 Buccaneers. The inevitable switch to senior hockey followed and, though parts of his campaign were tinged with controversy, the skater now moves to Kent looking to focus on his hockey and build on a promising start to his adult career. “Charlie arrives with a slight history behind him but I’m looking at the fact that he’s just 17 and has all the raw talent required to make it. A move to the Mos is a fresh start, a chance to put anything else behind him and focus on a game he clearly has an aptitude for. At such a young age he caught my eye with his play last year and if he can continue to build on that natural hockey sense I don’t see why he can’t go on to become a top player at this level. He became a key figure for the London Raiders in 2013/14 despite his youth and now he’ll be hoping to make even more of an on ice impact as he joins us here in Gillingham”.